I don’t often agree with anything in The Interpreter magazine, an online publication whose content is almost uniformly hostile to Russia and its government, but it has recently had some sensible things to say about the protests in Armenia against electricity price increases. The magazine failed, however, to push its argument through to its logical conclusion, perhaps because doing so would have forced it to reassess some of its own preconceptions. Let me give two examples. Second, Paul Goble remarks that, ‘Many Russian analysts are hurrying to suggest that this week’s protests in Yerevan and their suppression by the Armenian government are the opening round of a new Maidan, an anti-Moscow action that is being promoted and exploited by the West as part of a broader geopolitical struggle.’ Goble argues that this point of view is mistaken. Viewing the Armenian protests as engineered by the United States could lead Moscow into counter-productive policies, he concludes. This is all true enough, but it isn’t the full story. The phenomenon which The Interpreter describes is not an exclusively Russian one; indeed The Interpreter itself has been guilty of it. For it and many others who oppose the current Russian government and who also oppose the rebellion in Ukraine, have consistently refused to accept that the protests in Donbass which led to the current war were expressions of popular will. They do not accept that the people of Donbass people are ‘capable of protesting … of their own free will.’ By contrast, most Russians do accept this, and thus it isn’t true that they cannot imagine such a thing. Whether people believe that protests are spontaneous or the product of outside forces depends very much on whether they support the protests in question. Thus, the Russian government and its supporters regard the Maidan protests in Kiev which led to the overthrow of Ukrainian president Viktor Yanukovich as having been directed by American puppet-masters, whereas they view protests in Donbass as having been spontaneous in nature. The current Ukrainian government sees it the other way around: spontaneous protest at Maidan, and Russian puppet-masters in Donbass. Both sides are wrong. It is obvious that foreign forces gave encouragement to both sets of protests, but it is naïve to imagine that the diplomats or intelligence services of any country can simply push a few buttons and incite rebellion wherever they wish. Local initiative, pushing from below, is essential in all cases, and is the primary driver of events. Yet, while refusing to give too much credit to outside agencies, one should also avoid overstating the degree of popular support which underlies such protests. The people who occupied Maidan did not represent Ukraine as a whole; had they done so, there would not now be civil war there. Similarly, the initial demonstrations in Donbass in spring 2014 attracted no more than a few thousand people. Street protests provide a mechanism through which radicals can bypass normal legal procedures. Even if tens of thousands of people participate, they are not democratic in nature. Overall, therefore, the conspiratorial model which describes mass demonstrations primarily in terms of external intervention is inaccurate, but one should be careful not to idealize such demonstrations as the true voice of the people either. One of the most common responses I have had to my Ideacity talk last week is a question along the lines of: ‘Given the evidence that the world is less dangerous nowadays than in the past, why do so many people believe the opposite?’ It is a difficult question to answer, but below are three factors which I believe help to explain this phenomenon. Human psychology. Human beings do not reason like computers. Most of the time, they don’t collect all the evidence, compare it to various hypotheses, and then calculate which hypothesis best fits the facts. Rather they take short cuts (heuristics), such as reasoning by analogy, and they reason emotionally. Take just one example, the so-called ‘availability heuristic’. Humans will tend to put more emphasis on events which are easily retrieved from memory and will consider that such events are more likely to recur than events which are less easily available. Terrorist attacks are vivid and readily retrieved from memory. We tend, therefore, to consider them far more common than they actually are. Car crashes, by contrast, are fairly routine and not generally well reported, and so we underestimate their danger. We end up fearing terrorism more than car crashes, despite the fact that we are many, many times more likely to die from the latter than the former. Interests. 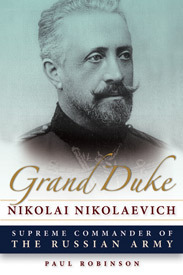 The tendency to exaggerate dangers is compounded by the fact that powerful groups within society have an interest in generating fear among the general population. Fear justifies those groups’ budgets and allows them to expand their power. One has to be a little careful here, so as to avoid becoming a conspiracy theorist. The ‘Military Industrial Complex’ (the MIC), for instance, doesn’t exist in a concrete form: politicians, generals, spies, military industrialists, and think tankers, aren’t all sitting down in a secret conference room to work out how best to terrorize their fellow citizens and extort the maximum amount of resources from them. If the MIC were that organized, it would be much easier to counter. It is far more amorphous. But it is no less real for that. The benefits which the MIC derives from fearmongering are large and concentrated. By contrast, the costs are diffused, and thus the countervailing pressure is weak. The Media. As everybody knows, bad news sells. Stories of war, terrorism, and so on, are interesting in a way that stories about nothing very much happening are not. The media paints a distorted view of the world. There are other reasons why this is the case. Changes in the structure of the media mean that there are fewer and fewer professional journalists, while news agencies lack the resources to conduct in-depth research. Making matters worse, in the internet age, the need to produce news rapidly has led to less and less fact checking. Once a narrative has been established, media agencies flock to it and repeat it for fear of being left behind. Governments and other organizations can find it relatively simple to manipulate press coverage – as seen, for instance, by the ease with which the American government was able to get the press to spread uncritical stories about Iraqi weapons of mass destruction. What can we do to counter this, people ask me. Sadly, I don’t know the answer. The factors above are very difficult to counteract precisely because they are so undeliberate. All one can do is keep telling the truth and hope that eventually people’s view of the world will catch up with reality. Years ago, when I was studying at the Minsk Institute of Modern Languages, our teacher played us a song by Alla Pugacheva entitled ‘Millions of Scarlet Roses’. The song is inspired by Georgian artist Niko Pirosmani, who ‘allegedly once filled with roses the square of the hotel where his love interest, a French actress was residing.’ Here then is the last of my June series of Soviet music-related objects: the cover sheet of a CD of Pugacheva’s greatest hits, number 5 of which is ‘Millions of Scarlet Roses’. The Levada Institute’s latest ratings are out, and Vladimir Putin’s approval rating has reached an all-time high: 89%. 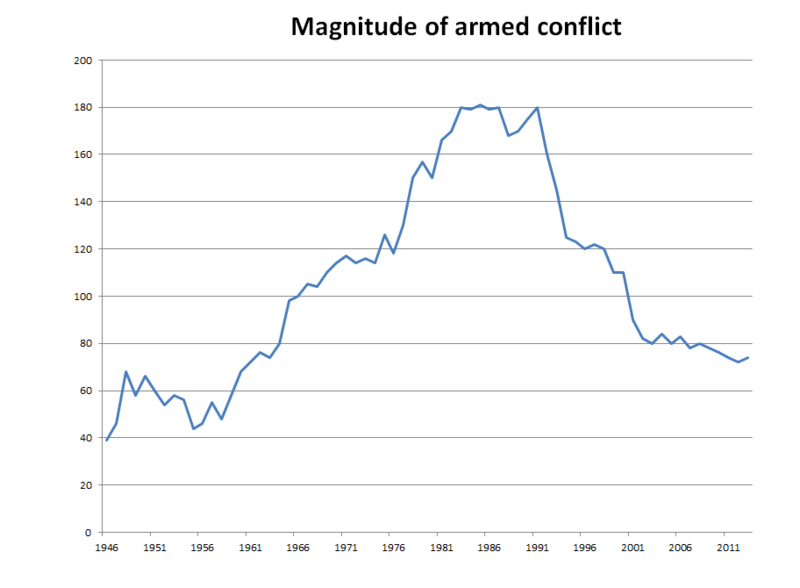 Last week at Ideacity I talked about the decline in armed conflict worldwide since 1992 with the help of the chart below. The chart is derived from data compiled by an organization known as the Centre for Systemic Peace (CSP) and it shows the magnitude of armed conflict everywhere in the world from 1946 to 2013. 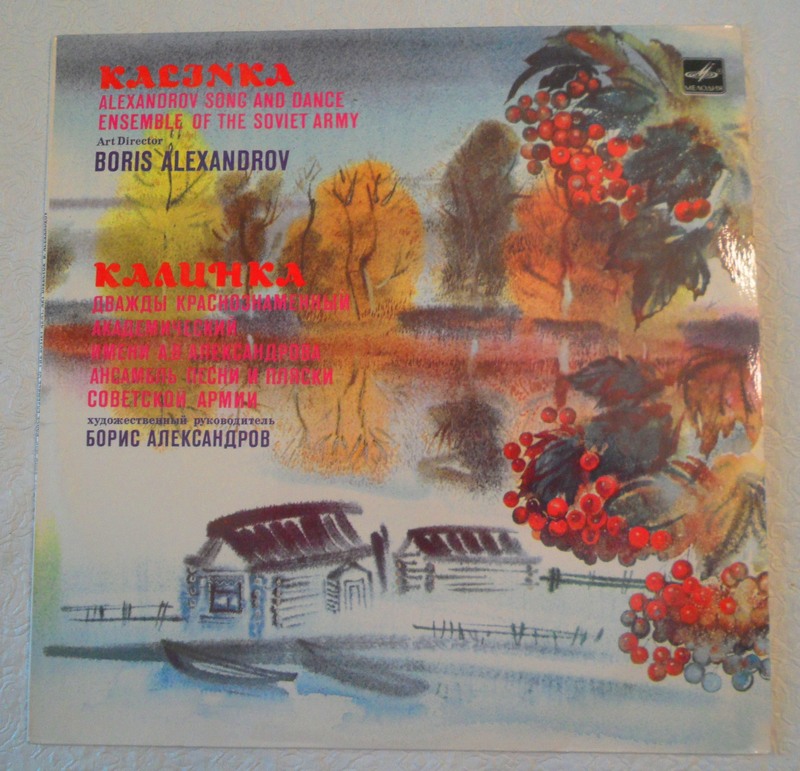 The next in my series of Soviet music-related objects is this record of Russian folksongs which I bought on a school trip to the Soviet Union in 1982.